In combat, events can occur that wound a person physically, mentally, and spiritually. Some of those wounds heal faster than others. Some of them we bring home with us, and they affect our loved ones- the very people we went to war to protect. The film We are Stronger shows one warrior's struggle with his wounds, and how he found healing. 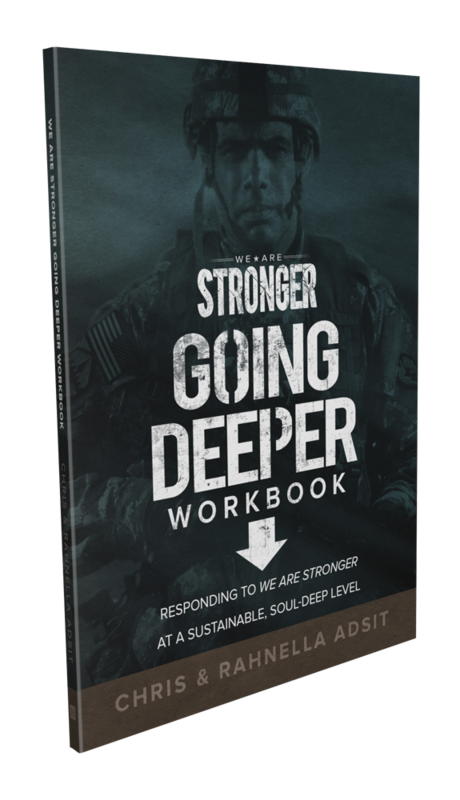 This companion book will help you better understand combat trauma, and take you deeper into the processes God has created to bring you strength, stability, resourcefulness, and purpose. In the early hours of March 7, 1999, Justina Page's life changed forever when a four-alarm house fire ravaged and destroyed her family's home. In the aftermath, in addition to the heartbreaking loss of one of her 22-month-old twin boys, Justina and her husband had to cope with the physical injuries left behind on both her and their surviving son. The Circle of Fire chronicles the author's journey through overcoming the devastating consequences of this catastrophic event. Justina's is a journey of discovering that personal tragedy is not a life sentence to despair, anger, and continual pain and suffering. Instead, it is a discovery of how something positive can be salvaged from every agonizing experience, even when your faith has truly been tried by fire.